Our size-reduced SM@RTCORE® range of fibre optic loose tube cables saves you space, time and money. It’s easier to install and you can increase the number of fibres in a duct, lower the number of ducts needed or extend the life of existing ducts. Plus, the strong, still smooth, polyethylene/nylon sheath protects against termites and reduces friction. 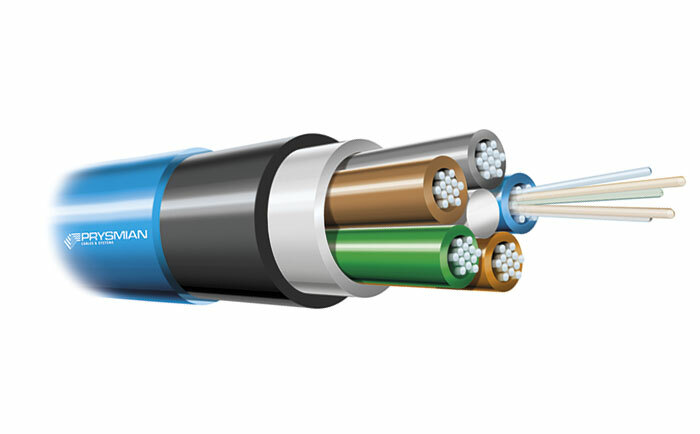 With duct space becoming an increasingly sought after commodity, the new cable offers many advantages to network owners. SM@RTCORE® is manufactured with a composite outer jacket comprising a polyethylene sheath which is bonded to an outer layer of nylon. By bonding the two layers together the nylon jacket can be made thinner while the thicker polyethylene sheath acts as a substrate to support the nylon. Integral dry water blocking technology to prevent water migrating in the event of a breach in the sheath. No risk of air passage between sheath and nylon allowing installation by means of air blowing. Damage to the nylon by caterpillar drives during air blowing is eliminated. The cables flexibility is improved. The smaller size offer the potential to fit longer lengths on a given size drum. Smaller, lighter and more flexible cables is easier and quicker to install.